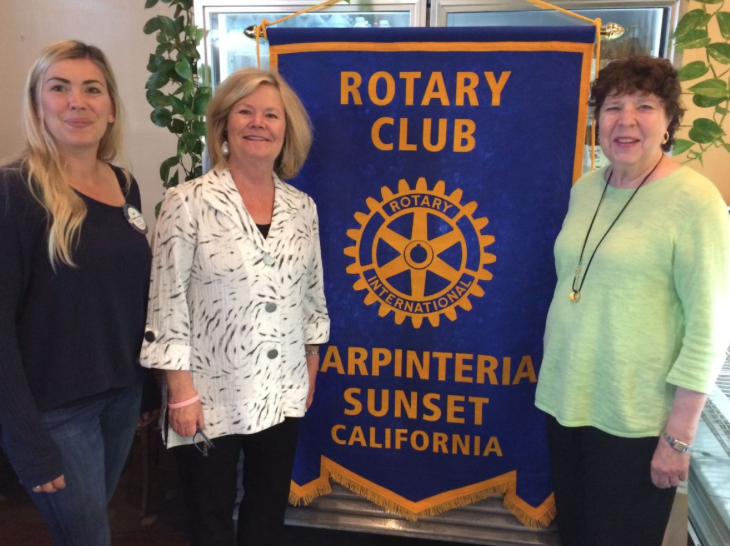 Laurie Tumbler and Shelley Hurst of the Women’s Fund of Santa Barbara paid the Sunset Rotary a visit this week to review how the Fund serves the communities from Goleta down to Carpinteria. The volunteer-driven collective donor group has funded more than $6 million to various organizations since 2004—close to $1 million of that right here in Carpinteria. The following local organizations have received grant funds: Carpinteria Children’s Project, Girls Inc. of Carpinteria, Community Action Commission (Senior nutrition), Peoples’ Self-Help Housing (Dahlia Court and Casas de las Flores learning centers), United Boys and Girls Clubs, Catholic Charities and Planned Parenthood, Adelante Amigas. Overall the Fund’s efforts have positively affected more than 95,000 local women, children and families.